So you’ve received your order, but something’s not as expected. It happens. We accept returns of all items purchased from our website within 30 days past the delivery date. Read more about our return policy below. Please note: we can't accept returns in our store. “You wear it, you buy it” is our motto and we offer you 30 days to reflect if you want to keep your purchase. You can try on clothes and shoes (only on carpets please), but we don’t accept returned items that have been worn or used, items that have become damaged because of improper use, or items returned after the 30-day cooling-off period. Make sure you also return the shoebox, dustbag (if applicable). The original hangtags must be attached to the returned item. We want this to go smoothly, so please fill in the returns form and include it in your return. To ensure your item(s) gets to us safely and on time, please use one of our recommended postal services (Post NL for the Netherlands & Belgium, UPS or DHL for international) and hold onto your tracking number. The returns address is printed on the returns label. Please note that we are not responsible for any missing, late, or damaged returns. Depending on your bank, it can take up to 5 working days to process and get your refund to you. If you are returning your entire order, we’ll also reimburse the delivery costs (if applicable). 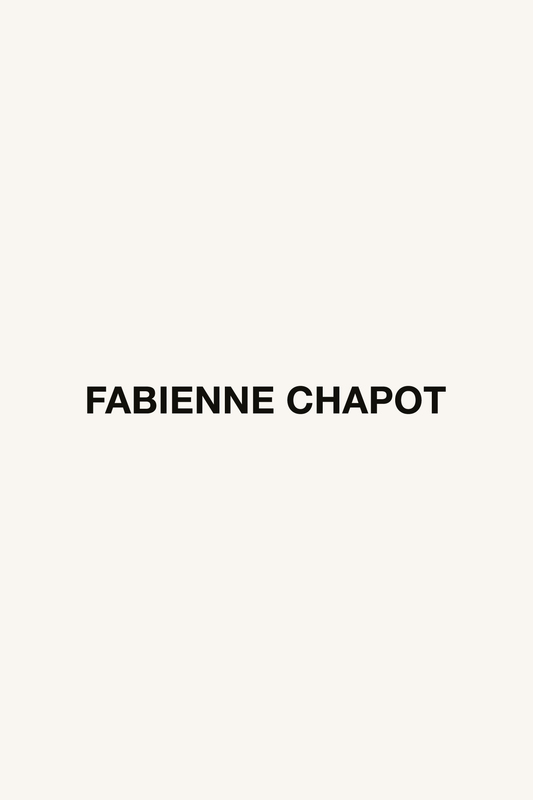 If you paid for your order using a Fabienne Chapot gift card – lucky you – then we will return the refund on a new gift card. Sorry, but we can’t exchange gift cards for cash. Because of our semi-automated system, once you’ve placed and paid for an order on www.fabiennechapot.com there’s no going back. You will need to receive and return your order as described above. Received damaged goods, or had something break within your warranty? Oh no! We hate it when that happens, but here’s how we work with you to examine and try to resolve the issue. A short description of the damage (and how it occurred if applicable). We assess the damage. If we agree to repair the damage of your Fabienne Chapot item(s), you’ll receive a special returns form for repairs. Send your item(s) and the form back to us, and we’ll try our hardest to have you rocking your items again within 2 weeks. We believe in repairing items instead of exchanging, where possible. If your item is beyond repair, we’ll get in touch. Because we believe in our products, all FC bags, shoes and leather accessories come with a limited one year guarantee. All FC clothing come with a six months guarantee. Your guarantee starts on the date of purchase. Make sure to save a copy of your receipt or order number as proof of guarantee! If you don’t have either, we won’t be able to help you. Can’t find the answer to your question, or been waiting for more than 14 days for your returns? Get in touch with our friendly Customer Care Team. We are available between 09:00 and 17.30 every weekday for all your questions.